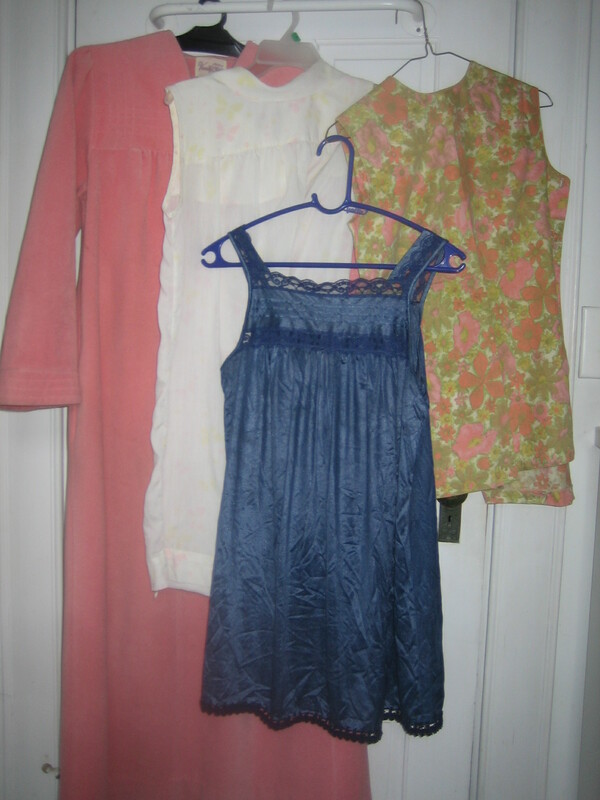 OK, I realize these are primarily female clothes again, but I’m reluctant to throw away stuff from Jim’s drawers. Besides I don’t think you’d like to see his drawers. 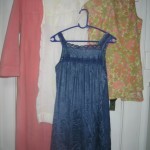 Again today I decided to wash one nightgown before deciding whether to give it away or now. The spots came out. I think I’ll keep it – at least a little longer.